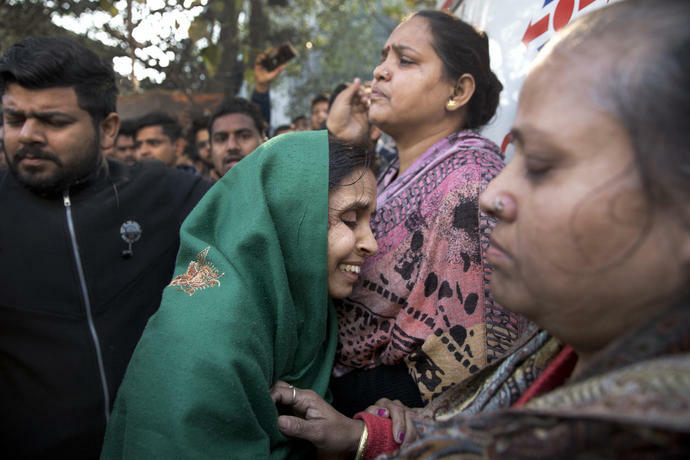 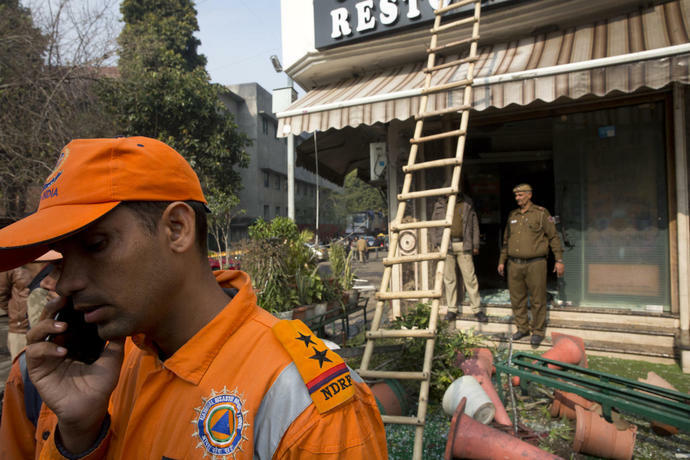 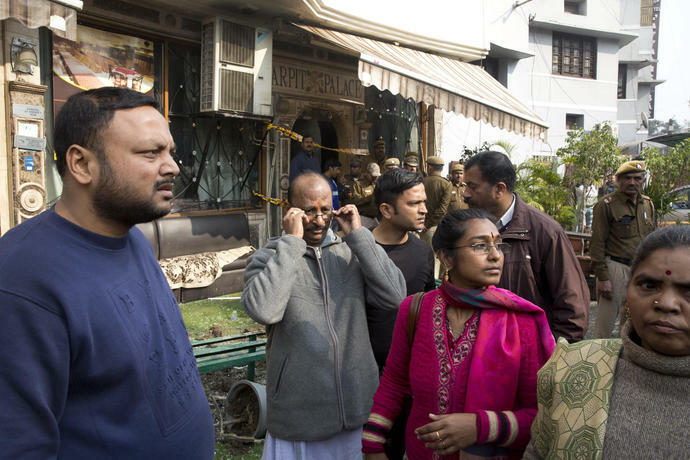 A rescuer from the National Disaster Response Force speaks on the mobile phone after an early morning fire killed more than a dozen people at the Arpit Palace Hotel in the Karol Bagh neighborhood of New Delhi, India, Tuesday, Feb.
Hotel guests arrive to identify their belongings after an early morning fire killed more than a dozen people at the Arpit Palace Hotel in the Karol Bagh neighborhood of New Delhi, India, Tuesday, Feb.
NEW DELHI (AP) - A fire engulfed a shoddily built budget hotel in central New Delhi early Tuesday, killing 17 people and injuring at least four others, including a woman from Myanmar who leaped from an upper floor to escape the flames, Indian authorities said. 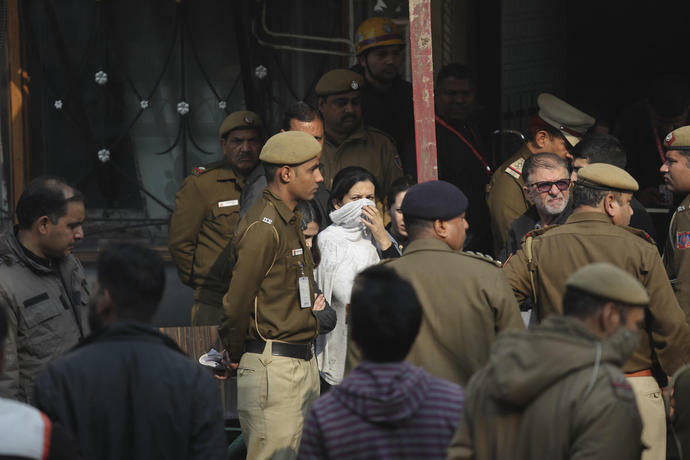 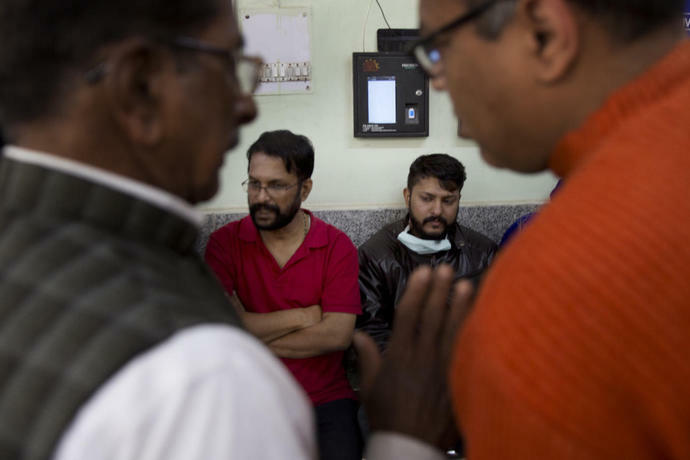 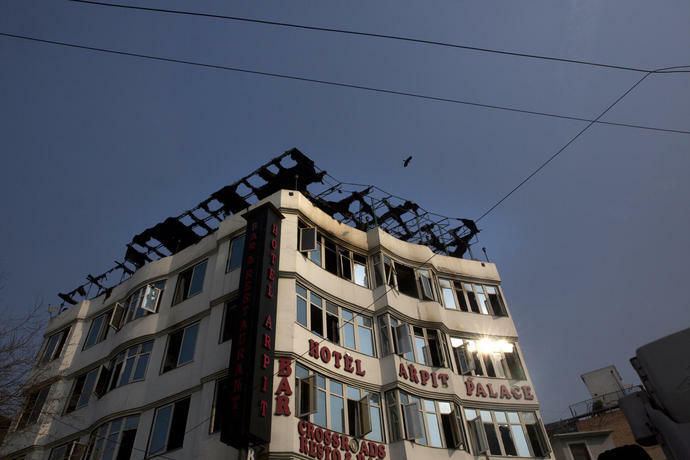 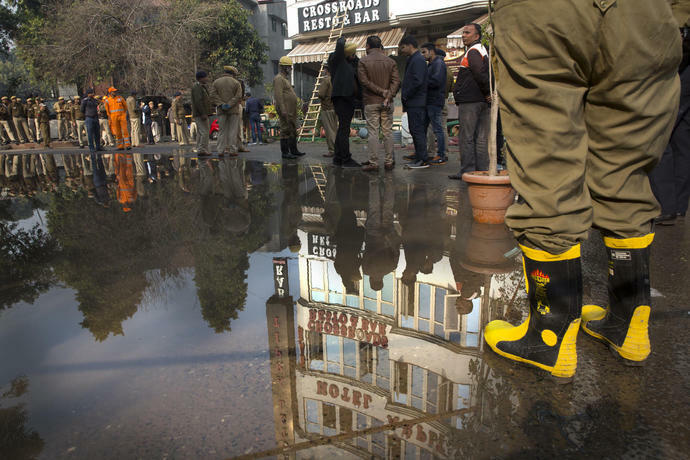 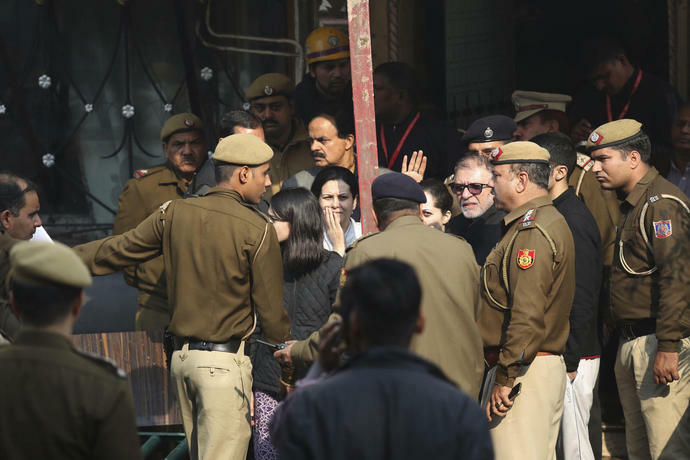 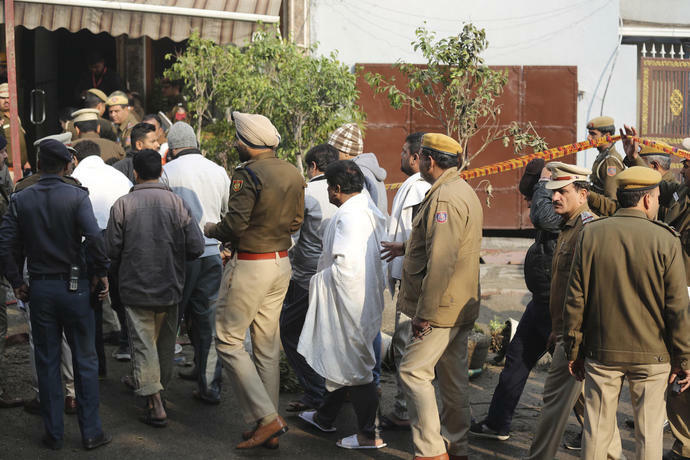 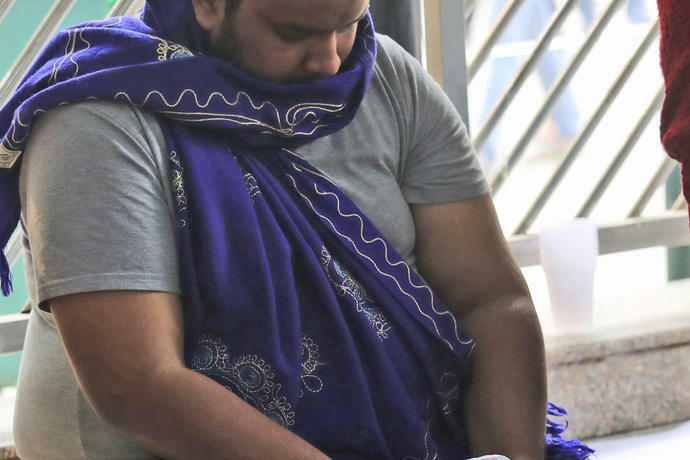 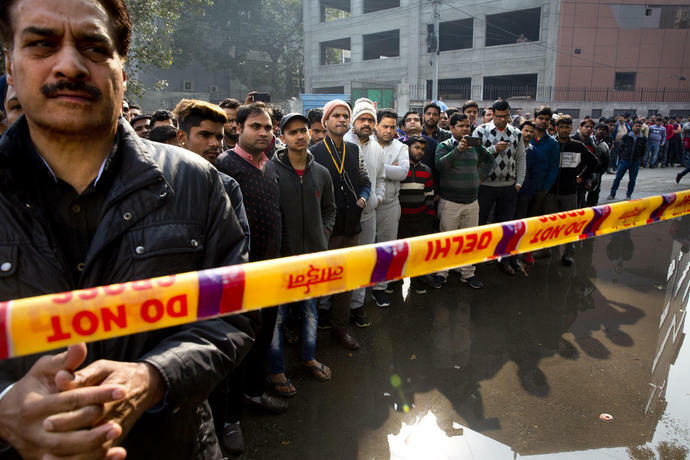 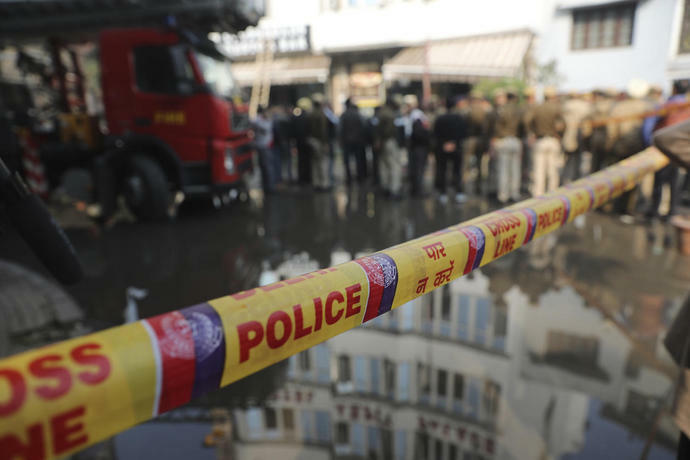 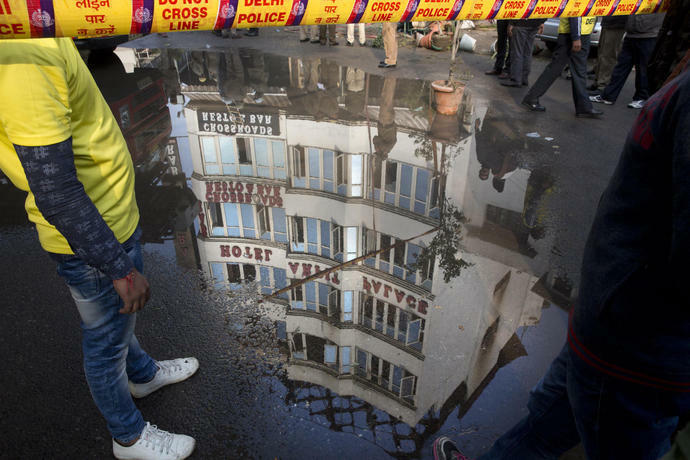 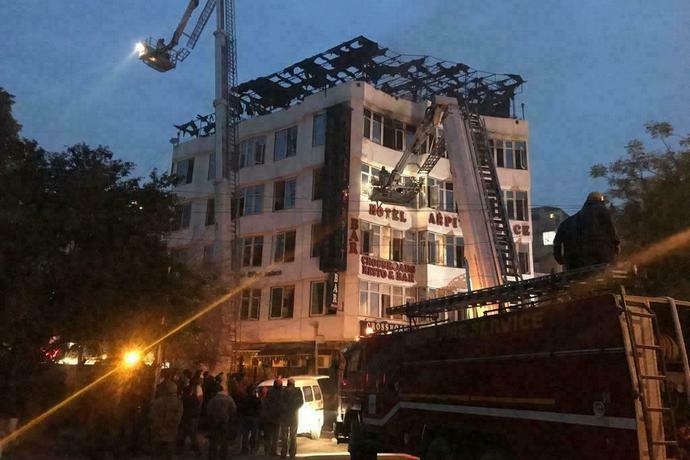 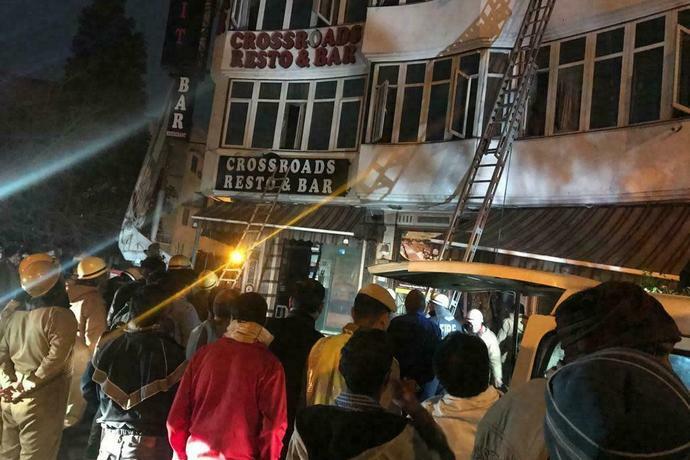 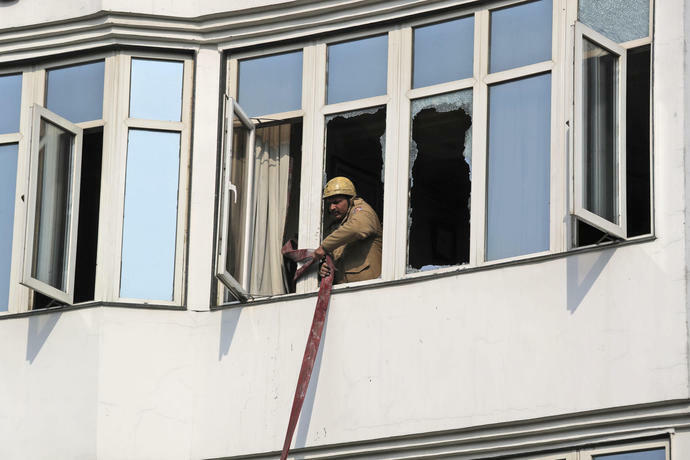 The hotel developer had a permit from the fire department to build up to four stories - the standard height in central Delhi. 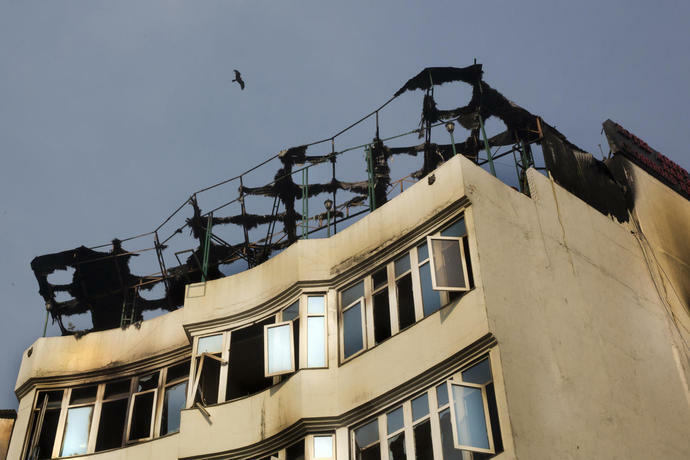 But the building appeared to have six floors, including a basement and a kitchen built on top of the roof, Jain said.